Every business aims to sell a product, to provide a service, or to deliver something meaningful to the industry. 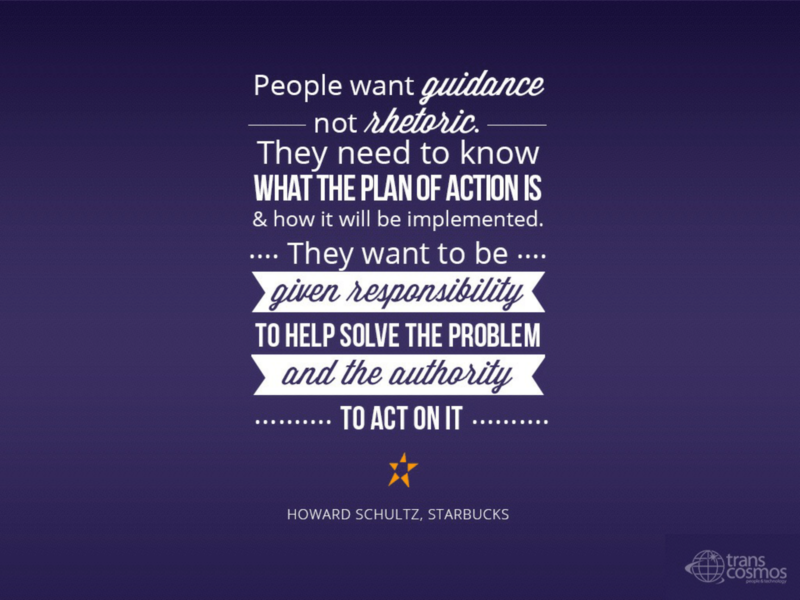 There’s a myriad of ways to achieve these business goals, but what many stakeholders don’t realize is that success begins with empowering their people. Even in this age and time where industries have innovated ways to automate processes, manual labor and human touch will always be essential in industries such as customer service, customer support, and IT. Successful leaders and business owners of our time can attest to this. Transcosmos Information Systems, for the past 23 years, have been passionate about two things: PEOPLE and TECHNOLOGY, and how equally important these two are in propelling any business forward. 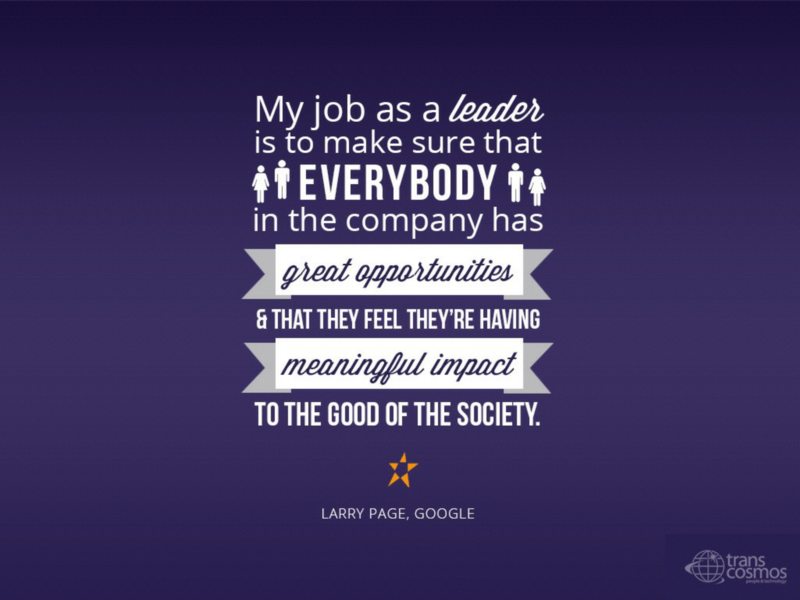 We compiled 10 powerful quotes that will totally change the way you look at managing your people, and inspire you to empower your employees to be the best they can be. 1. 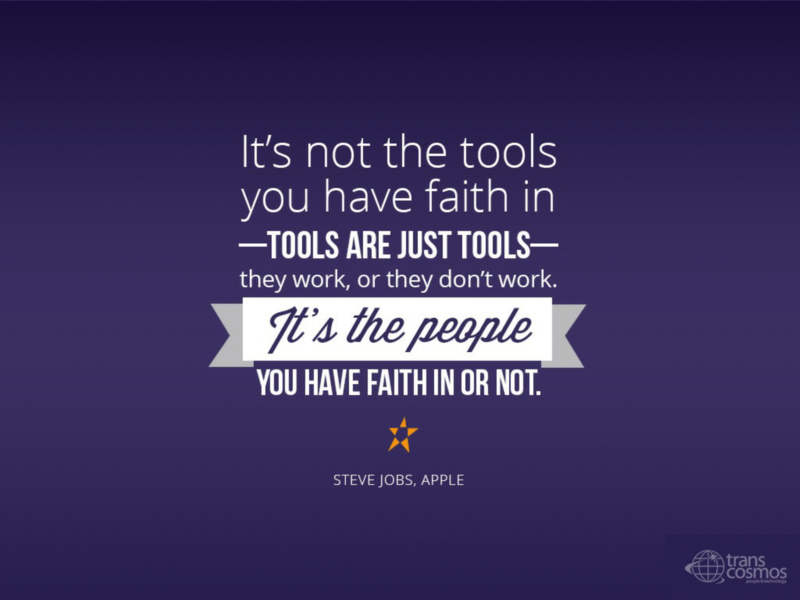 Have faith in your people. 2. Nurture them and allow them to grow. 3. 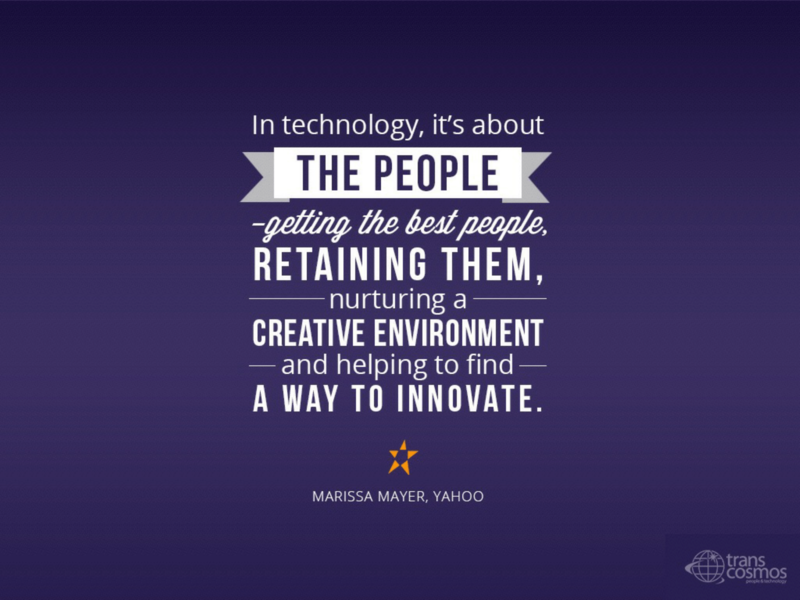 Rememebr that a company is only as good as its people. 4. Give them authority and a sense of responsibility. 5. Make sure they understand your mission and believe it can be done. 6. Make them feel they’re having a great impact to the society. 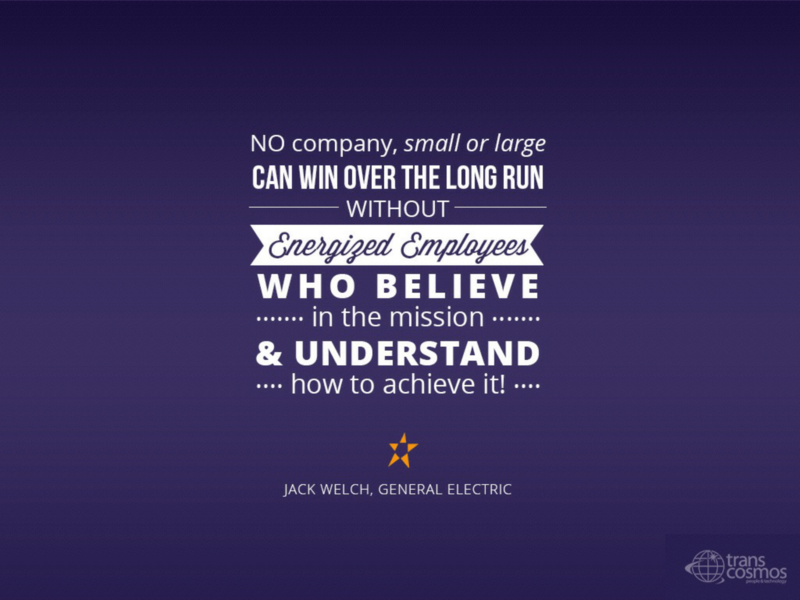 Undeniably, empowering employees is closely knit to creating a company culture that employees love. When people work in a nurturing environment, they deliver better results, and therefore make customers happy. 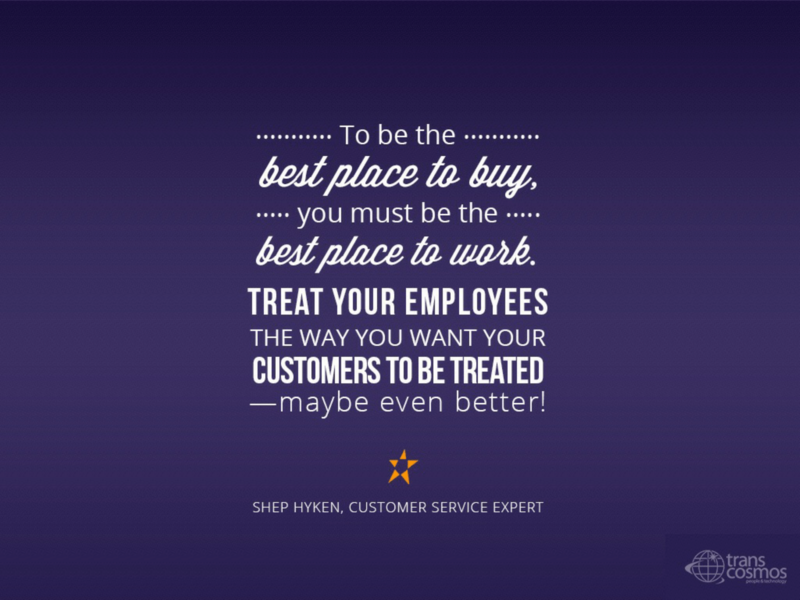 As we have blogged before, empowered employees is the secret to better customer service. 7. 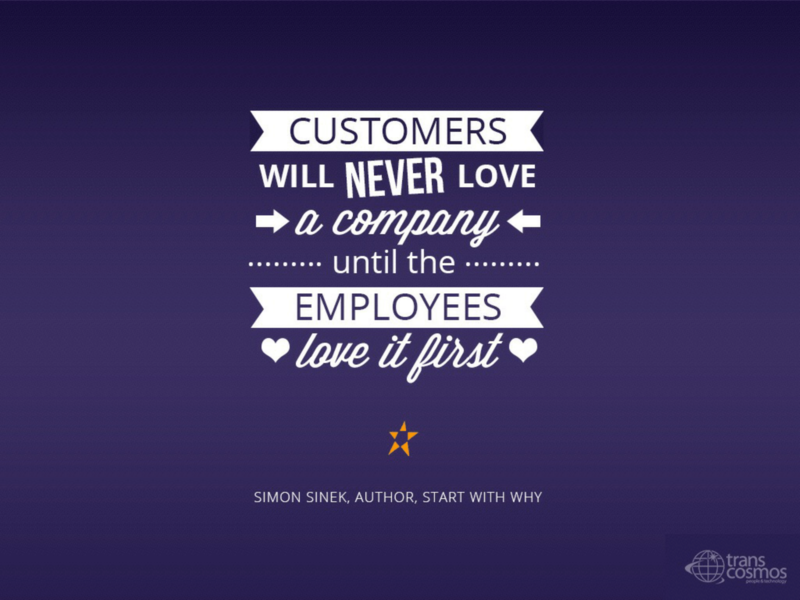 Make your employees love you. 8. Because you can’t deliver good service from unhappy employees. 9. Treat them the way you want your customers to be treated. 10. 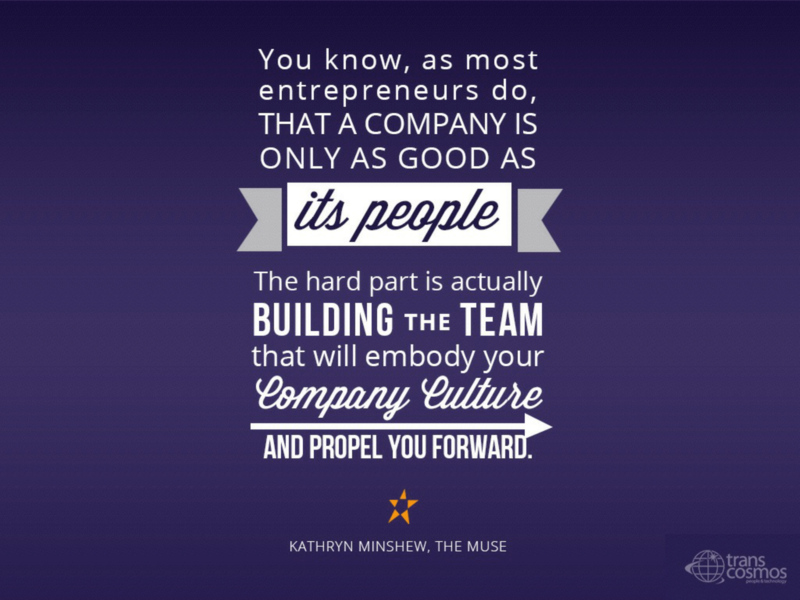 Because when you get the company culture right, everything else will follow. There you go. We hope that these nuggets of wisdom inspire you as they have inspired us.